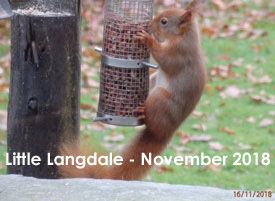 We appeal to everyone with an interest in the countryside – farmers, landowners, gamekeepers, foresters, and all those involved in country pursuits – to join us in widespread action to reduce grey squirrel numbers across South Lakeland. The response so far has been excellent, so you will not be acting alone. Grey squirrels are not just a threat to red squirrels – they cause serious damage to woodland by bark-stripping, and they impair the breeding success of woodland birds by taking their eggs and fledglings. 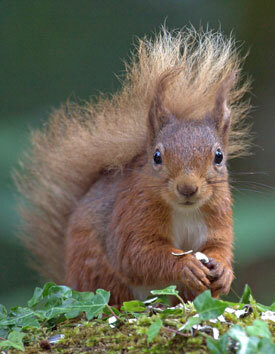 But it’s not just in rural areas that grey squirrels are a threat. Greys will thrive in towns and villages on the rich pickings from bird feeders and then spread out into the surrounding countryside. 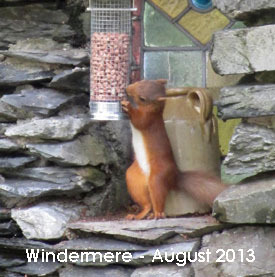 We have recently had reports of red squirrels being seen near to the centre of Windermere and on the outskirts of Kendal, and in previous years even a litter of young reds near to the centre of Ambleside. Unless we can take swift action to remove the grey squirrels from these suburban areas, the reds will stand little chance of re-establishing. To make a difference we need practical help from local people right across our area. We can provide advice and support to those who are just starting out with grey control, and any necessary training for volunteers.